Write 'Scientific' Poems - Prof. Andrew Nok Challenges Writers. 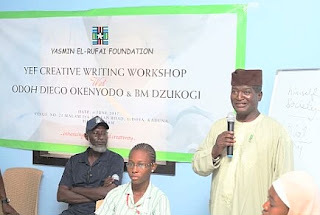 Prof. Andrew Nok, the Commissioner of Education for Kaduna State has challenged Nigerian teen writers to write poems on his scientific feat. Prof. Nok is the winner of the 2009 NLNG Prize for science in Nigeria, awarded to him for developing a vaccine for the cure of sleeping sickness. 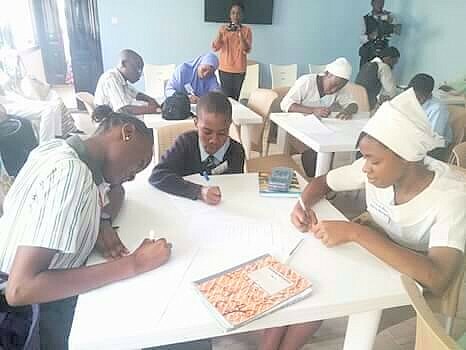 The Professor of Biochemistry gave the challenge at the opening of a creative writing workshop for teen writers in Kaduna State on 6th June, 2017 organized by the Yasmin El-Rufai Foundation, a Not-for-profit organization focusing on literary creativity and women literacy programmes. 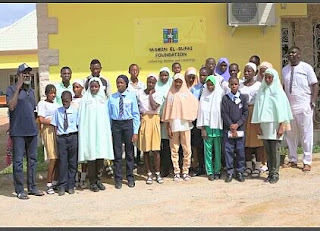 The Foundation which is a brainchild of the wife of the governor of Kaduna State, Hajiya Hadiza Isma El-Rufai was established in memory of her late daughter, Yasmin. 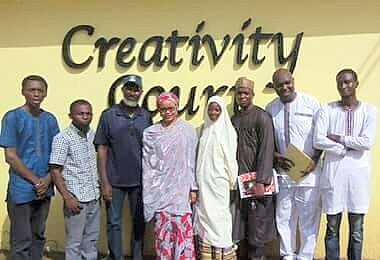 Prof. Nok who pledged his support for the Foundation expressed his happiness for being amidst student-writers as well as seeing his former student, Diego Okenyodo mentoring them in the art of creative writing. Diego who facilitated the workshop along side BM Dzukogi, trained as a Pharmacist and has over the years been productive in the arts world. “It is in this spirit that I challenged teen authors in Nigeria to write a poem about my scientific feat for which the winner would be awarded N100, 000 through the Yasmin Foundation.” he declared. The Yasmin Foundation has taken this up by creating an annual prize called ANDREW NOK SCIENCE POEM PRIZE for secondary schools in Nigeria. The prize requires a teen author in a secondary school to write a narrative poem on a phenomenal scientific feat by any scientist around the world starting with Andrew Nok’s discovery of a vaccine for sleeping sickness. The prize would be sponsored by the Ministry of Education, Kaduna State through YEF. In the subsequent editions, YEF would set the criteria and the scientific feat to written about annually.